The camp experience is invaluable to both campers and staff. It is an experience that will stay with you throughout your entire lifetime. Tyler Hill is a place where counselors meet new friends, learn about themselves, determine careers, and in some cases, meet a future husband or wife. The benefits of and warm feelings about camp will be carried with you forever. 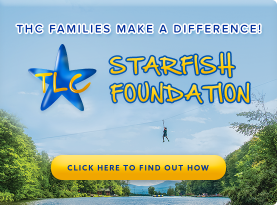 Camp is a special place where dreams come alive for campers and counselors alike. .
At Tyler Hill Camp, we have developed a very comprehensive evaluation and bonus program. Based on job performance, bunk counselors can earn up to an additional $600 in bonuses. If you live more than 350 miles away from camp and you are American, we will pay up to $500 to help defer your travel expenses. Canadian staff can receive up to $600 to help defer your travel expenses, your work visa and SEVIS fee. Make sure you retain all receipts to submit them to our office once you arrive at camp. We’re looking for top quality staff for next season and we’d like our returning staff to help us. For every college student that a returning staff member recruits, we pay that staff member a cash bonus of $250 at the end of the summer. The staff member that you recruit must complete the summer in order for you to earn your bonus. Please have your friends apply on-line (and make sure they tell us that you recommended them).